Bears are painting the cryptocurrency town red once more, forcing bitcoin and its peers to retreat to long-term support zones and even break some! Can the bloodbath go on from here? Bitcoin slumped back to its long-term floor around the $6,000 mark, which happens to be the bottom of a descending triangle visible on the daily time frame. A bounce could take it back to the triangle top around $7,000 and stochastic seems to be giving some hope for bulls as the oscillator indicates oversold conditions. However, the 100 SMA is still below the longer-term 200 SMA to indicate that support is more likely to break than to hold. If bitcoin smashes the triangle support, it could fall by roughly the same height as the chart formation. Yikes! Ethereum crashed below that symmetrical triangle pattern we were watching last week, and the slide has been going on since! 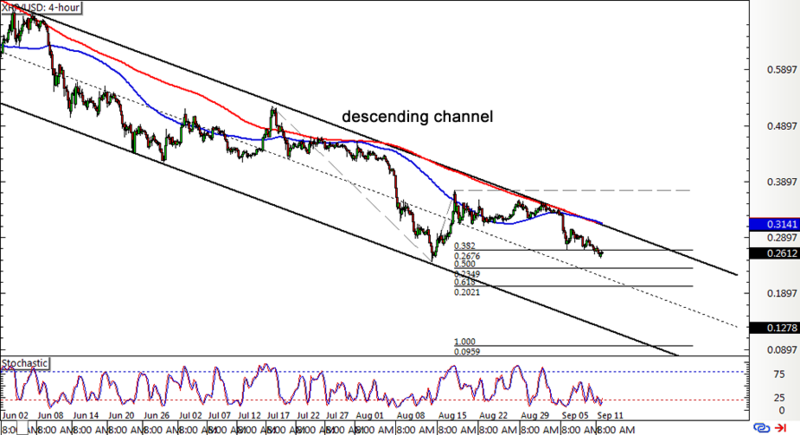 Price is now sinking inside a descending channel and is approaching the mid-channel area of interest. Stochastic has started to pull up from the oversold region to suggest a return in bullish pressure, possibly enough to take price for another test of resistance. The 100 SMA dynamic inflection point coincides with the top of the channel, adding to its strength as a ceiling. It is also below the longer-term 200 SMA to confirm that the slide is more likely to resume than to reverse. Litecoin also tumbled below a short-term ascending channel and is resuming its longer-term downtrend seen on the 4-hour time frame. Price has already slipped below the mid-channel area of interest to signal that bears are stepping on the gas, possibly taking it down to the next downside targets. 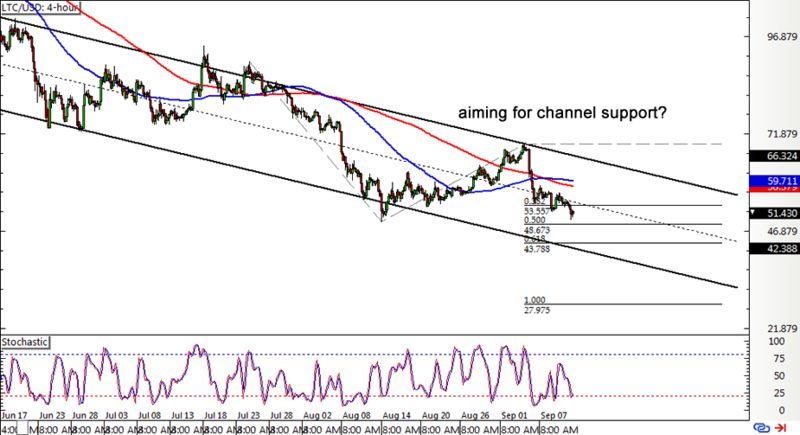 The Fib extension tool shows that these might be at the 50% level or the 61.8% extension closer to the channel bottom. 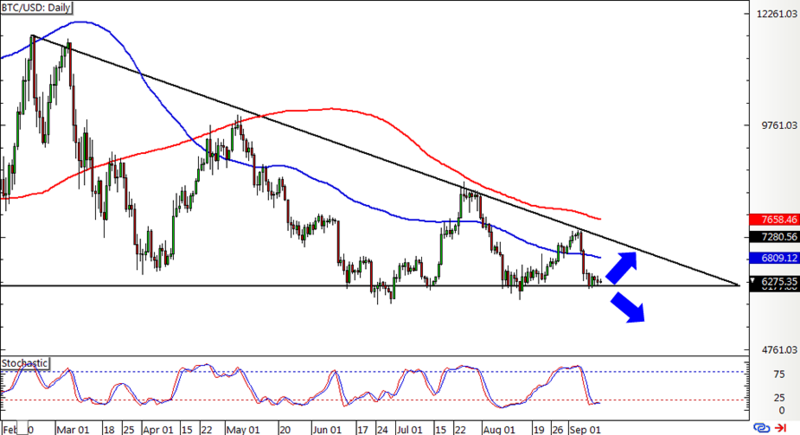 The moving averages just made a bullish crossover, though, and stochastic might hit oversold levels soon. Could there still be a chance for buyers to defend support at these current lows? 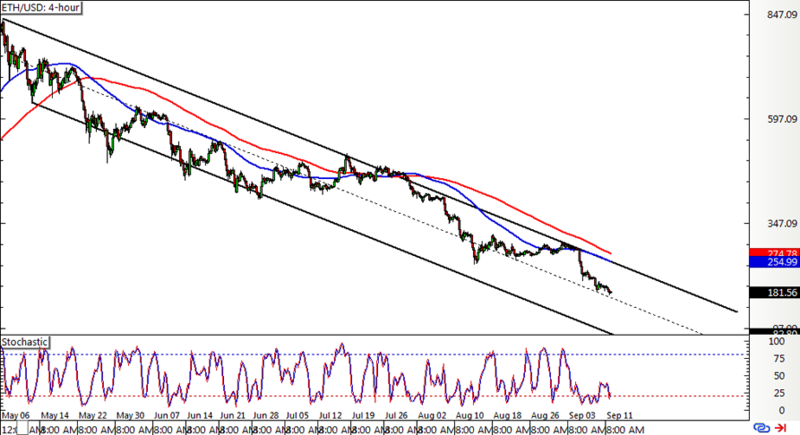 Ripple is also setting its sights lower after recently being rejected on the test of the descending channel resistance. This lined up with the moving averages’ dynamic resistance levels, anyway, so the ceiling was hella strong! Price is now down to the 38.2% Fib extension, but sellers could have some more energy left to take it down to the 50% level at the middle of the channel. Stronger selling pressure could bring it down to the 61.8% level just above the 0.2000 mark or the full extension at 0.0959. Just be careful since stochastic is already in the oversold territory to reflect bearish exhaustion while the moving averages appear to be attempting a bullish crossover.